Click the button below to add the 1997 98 99 00 01 02 03 04 05 06 Ford Taurus Seat Covers Set ALL FEES INCLUDED! to your wish list. This is a great quality Universal Low Back (Separate head rest covers) Seat Covers Set that will fit all cars, trucks and SUV with regular bucket seat. This set can also fit the seats with arm rest. 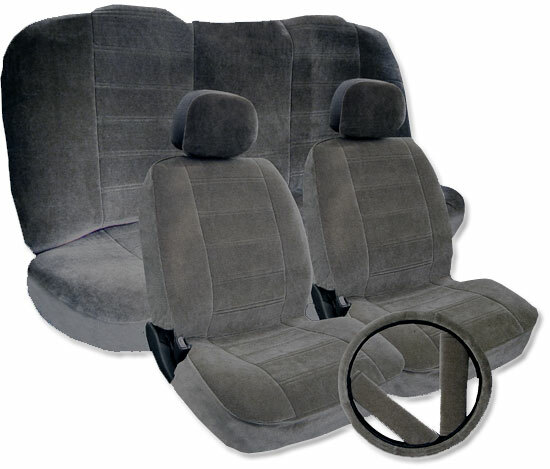 Total 9 pieces of Low Back seat covers set includes 2 pieces of seat covers, 2 pieces of head rest covers, 2 pieces of back seat covers, 2 pieces of seat belt covers and a steering wheel cover. All seat covers are made with high grade heavy weight acrylic fabric with velvet touch and extra thick foam to ensure maximum comfort. 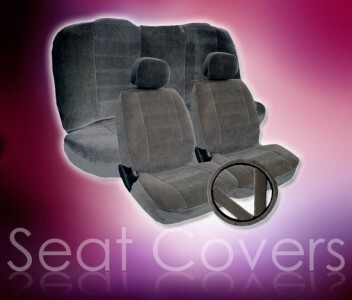 These Low Back seat covers will fit any car SUV, truck or van with regular bucket seats. It can also fit bucket seat with arm rest. Elegant look and maximum comfort. Extra protection for your seats. Please note these are not OEM seat covers. 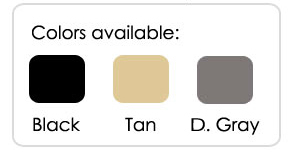 Please specify color when submitting payment through Paypal (in the note section). We us Paypal.com for all of the credit card payments (immediate payment only). If you'd like to send money order, please contact us at 626-336-0533 for payment details. If you don't have Paypal account (U.S. customers only)and would like to pay with a credit card, please call us toll free at 1-626-336-0533 Alternate Billing/Shipping Address: If your billing address in different than your shipping address, you will need to list the shipping address with your credit card company. Failure to due so will result in delays on your order. Money Orders and Cashier Checks: Please allow 15 business days for all Money Orders and Cashier Checks to clear. We do not accept personal or company checks of any other kind. The above Flat Shipping rate is to the continental USA lower 48 States only via UPS ground or USPS regular mail or priority mail service. Please contact us for shipping to Hawaii, Alaska and Puerto Rico. If you require expedited shipping UPS 3 Days, 2nd Day, and Next Day please contact us 626-336-0533 INTERNATIONAL SHIPPING We ship all international shipment via USPS International Priority Mail service. All Countries shipping rate are cauculated by USPS with actual shipping rate, Shipping insurance: Please note that the price for shipping is not including shipping insurance. Shipping insurance is offered by USPS which protects the recipient of any loss or damages while in transit. Shipping insurance is opttional all shipments outside of the U.S.
1997 1998 1999 2000 Toyota Camry Synthetic Leather Seat Cover Set ALL FEES INCLUDED!